Pelicans usually dive into the ocean in search of food, but this one just wants to help keep the swimmers safe! 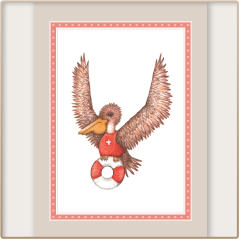 Bring this courageous little lifeguard home with a pack of unique pelican notecards. Cowabunga!